Aaron Hernandez allegedly drew Illuminati symbols on his cell wall in his own blood. Was his dead a suicide or an Illuminati-contracted extermination? ZestyThings readers and authors are very familiar with the stories and conspiracies surrounding the enigmatic Illuminati. In one of the latest cases, it turns out that there were Illuminati symbols found in Aaron Hernandez’s prison cell written in his own blood. Hernandez was a tight end in the NFL who’s career was ended when he was arrested for murder. Was Hernandez an Illuminati member? Was it really suicide or was he taken down by an Illuminati agent inside the prison? According to reports, Aaron Hernandez scrawled Illuminati symbols on the walls of his prison cell. The symbols were written in his own blood. On April 19th, the NFL star was found dead at the Souza-Baranowski Correctional Center in Massachusetts of an apparent suicide. Hernandez left suicide notes for his fiancee, daughter, and an alleged gay lover from prison. His bible sat open to John 3:16. 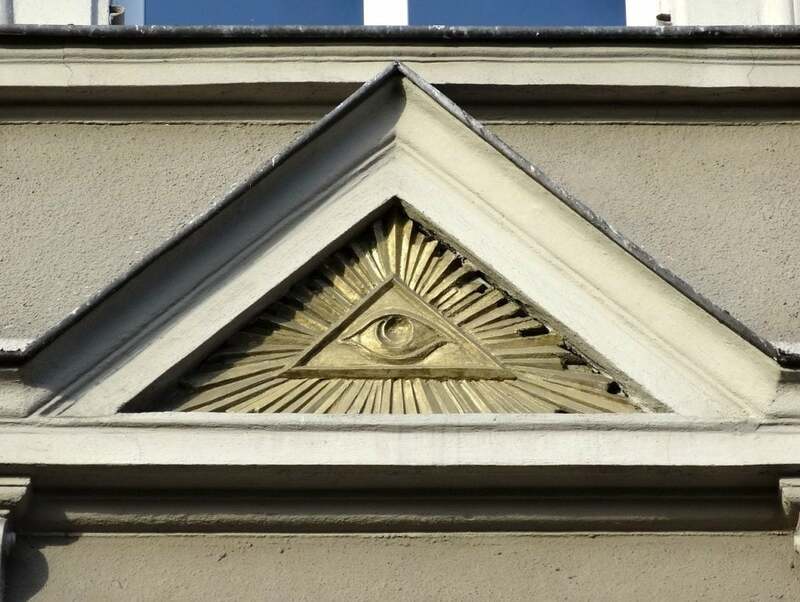 WCVB reported that prison guards found him in the early hours of the morning along with symbols and the word ILLUMINATI written in block capitals on the wall. He had drawn a partial pyramid but didn’t finish it. The pyramid is a common symbol of the Illuminati. Also among the symbols were an oval with rays coming out of it, designed to represent the all-seeing eye of God. While investigators found K2, a synthetic marijuana alternative in the cell, the toxicology reported no trace of the drug in his system at the time of death. It’s common for suicide victims to use drugs before the act. In fact, it’s less common for them to not use them if available. Is this evidence that Hernandez was put down by the Illuminati and the suicide was staged? Aaron Hernandez was serving a life sentence for the 2013 murder of Odin Lloyd. No possibility of parole. He had been acquitted of two other killings and was in the process of appealing his original conviction. While fellow inmates said he’d hinted at the idea of suicide, there was no indication to his family that he was planning this. Prison suicides aren’t uncommon but the symbols that Hernandez scrawled on the walls of his cell prior to his death are. Whether he was truly a disturbed individual or if this was an Illuminati hit might never be known for sure. What we do know is that whatever secrets Hernandez may have had about the Illuminati have died along with him, leaving only half-completed symbols and well known Illuminati metaphors. In his own blood.